As stated at the time of the release of the limited edition single – ”The Starman – A Teasing Tribute to Bowie” - in connection with Record Store Day in April 2012, Carl King can now announce the release of his first album, which is due out April 20 2013. 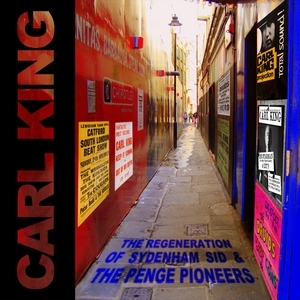 The album, ”The Regeneration of Sydenham Sid & The Penge Pioneers”, will contain 13 tracks all written by Carl himself, with invaluable inspiration and support from Jes King and Søren ”Ziggy” Poulsen. The title is in one way a friendly jab, albeit with a four and a half decade delay, at David Bowie, Carl’s old sparring partner from the South London scene of the mid-sixties, and Bowie’s 1972 album ”The Rise and Fall of Ziggy Stardust and the Spiders from Mars”. But unlike Bowie’s album, it is an essentially down-to-earth compilation of songs chararacterized by Carl’s own personal brand of humour, irony, lyricism, nostalgia, tragedy and melancholy, coupled with solid melodies and intense vocals. – is inspired by, and contains flashbacks to, South London in the sixties, when Carl was a promising young singer and released two singles for CBS in 1966-67, before making a complete disappearance from the music scene. ”Summer Sue” – based on a true story from the very start of Carl’s experiences as a singer with The Vendettas – a summer of innocence. ”Oh Eileen!” – which contains elements of the problems Carl experienced in lying about his age at that time. ”The Starman” – a teasing tribute to Bowie, who was Carl’s supporting act in West Wickham in early June 1964. ”Knock Me Down with a Feather” – based on the problems that the elder brother of one of Carl’s school chums had in finding a girl friend. ”Sid and Miss Education” – a free account of problems and experiences at school, particularly when the headmaster discovered that Carl was ”doing a lot of work with a small musical group”. After leaving the music business Carl then worked as a teacher for over 30 years! ”Rock ’n’ Roll Reject” – about the faded star who, unlike Bowie’s ”Rock ’n’ Roll Suicide”, has great difficulty in giving up! – is firmly rooted in the world of today 45 years later where Carl has decided to reappear, aiming not at a ”comeback” but ”come forward; a ”resumption” of his career! Nevertheless, the distant past is far from forgotten! ”45” – An ironic description of Carl’s present situation filled with flashbacks to 1967: ”Now I sit in my room and I’m all aglow, writing songs I should have written 45 years ago”. ”Far Away” – Based on an idea by Søren ”Ziggy” Poulsen, songwriter, arranger, guitarist and drummer, the lyrics reflect Carl’s experiences of losing touch with old friends, after living in Denmark for over 35 years. ”Life’s Got You” – Reflections on a life full of ups and downs, and a favourite saying of Carl’s dad. ”Why Can’t It Be?” – a mature love song full of despair! ”Let’s” – a mature love song full of elation! 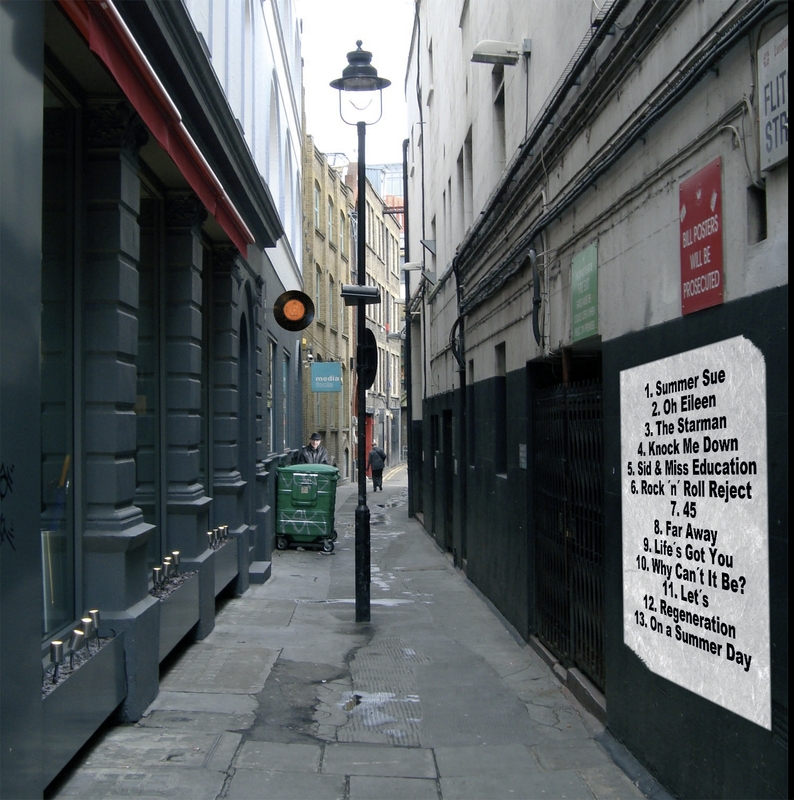 "Regeneration” – a rock song full of the heroes of South London days, who still provide inspiration! Bonus track: ”On a Summer Day” – written at the time of the trial of the Norwegian mass murderer. Give it a spin – smile, reflect, sigh and enjoy!